As a mom I'm always on a budget, but want to get products with quality ingredients at the same time. Renpure combines the best of both worlds with their haircare products. 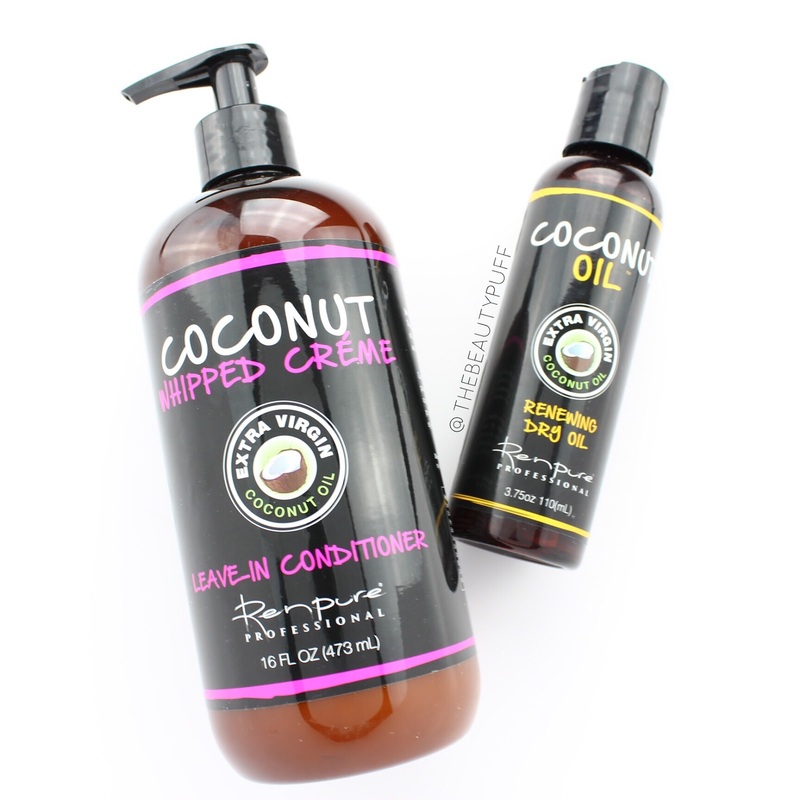 Their Coconut Oil Professionals line features extra virgin coconut oil and coconut water which not only benefit hair but also make these products smell incredible. Shampoo + Conditioner | Coconut has to be one of my favorite scents for the warmer months. 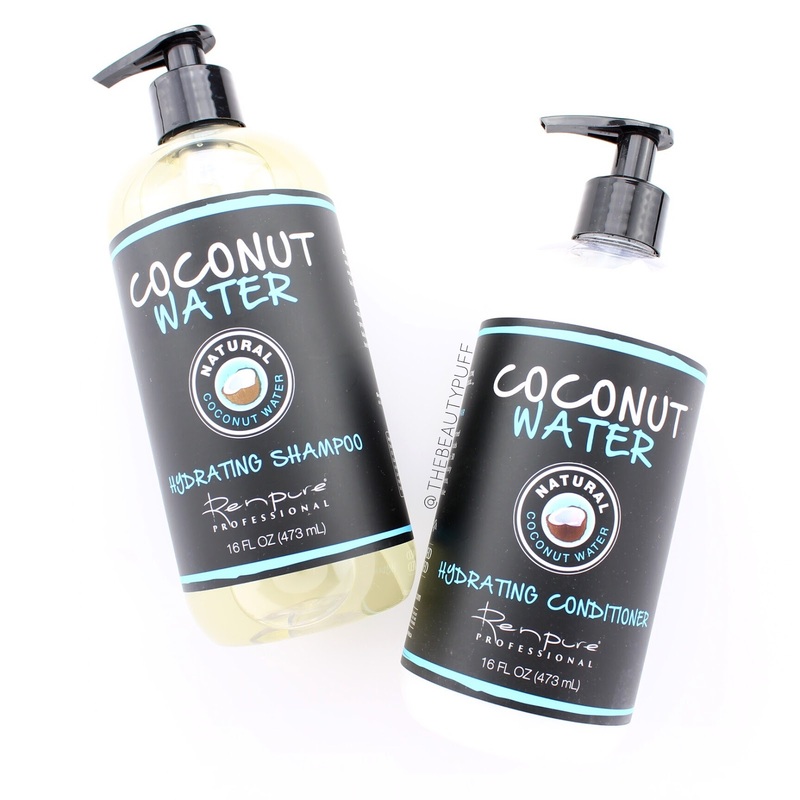 Renpure captured it perfectly in their Coconut Water Hydrating Shampoo + Conditioner. These formulas are hydrating, replenishing and strengthening. What's even better is that they work for all hair types so everyone can enjoy the benefits of these light-weight, yet nourishing products. I also love that their bottles feature pumps which makes dispensing a breeze in the shower. Leave-in Conditioner + Dry Oil | To give my hair an extra boost of softness, I've been completing my routine with Renpure's Coconut Whipped Creme Leave-In Conditioner and Renewing Dry Oil. When my hair is damp, I add a small amount of the dry oil and work it through the ends hair. This oil gives some extra hydration to damaged hair. A little goes a long way so be sure to start out with a small amount! The Whipped Creme Leave-In Conditioner is another great way to ensure hair stays smooth and hydrated. It's the perfect solution for dry, frizzy, tangled hair. Just add a small amount to damp hair, distribute evenly and style as usual. I love it for both straight and wavy hair days. It helps smooth out my hair and also helps define and hydrate my waves so my hair isn't taken over by unwanted frizz. As with the other products in this line, these smell incredible. A fabulous collection to satisfy your coconut craving this spring and summer! You can find Renpure products at Target and below on Renpure's website. Shop below for the entire Professionals line.